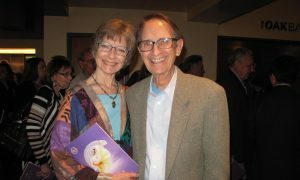 MISSISSAUGA, Canada—Canadian film and TV producer Leif Bristow and his wife Agnes Bristow, a writer and producer, have attended Shen Yun many times over the years and have never failed to be impressed. Among the couple’s accomplishments is the family-friendly TV series “Wildlife Quest,” starring their daughter Brittany, and the mini-series “Rising Suns,” a drama about a wealthy family that has come to Canada from China. 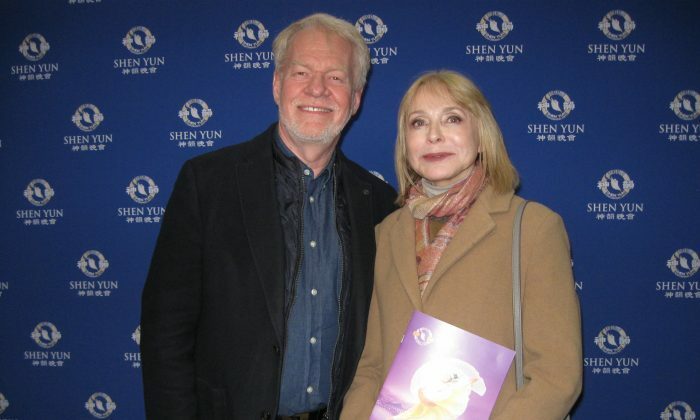 The Bristows saw Shen Yun at the Mississauga Living Arts Centre in Canada on Jan. 12, as the New York-based performing arts company continued the Canadian leg of its global tour. “I always feel uplifted when I come to see the show,” she added. “It’s very rich and everything you can imagine. The music is so beautiful and when I’m sitting in the audience, I feel like I’m transported somewhere else. “I loved this performance. It was quite exceptional,” said Mr. Bristow, noting the high caliber of the performance overall. They both singled out the erhu solo for special praise. “It was one of the most beautiful solos I’ve heard in a long time. It was really captivating,” said Mr. Bristow. “It’s amazing, especially when you consider it only has two strings. It can be one of those things that’s very haunting, yet it can be very light and it can have a very refreshing sound to it. It really makes you feel something. It’s such a unique sound and it’s very unique especially for North American ears or Western ears. It’s really quite beautiful. Ms. Bristow also drew a theme from the production, which draws from China’s rich and mystical 5,000-year-old history and culture. 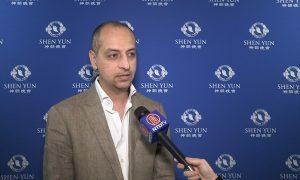 Shen Yun embarks on an extensive international tour each year as part of its mission to revive authentic Chinese culture—a culture that was all but destroyed by violent communist campaigns such as the Cultural Revolution. This year, Shen Yun will visit over 130 cities to present the Middle Kingdom’s magnificent traditions onstage. “History and tradition are important because it’s those elements of our cultural history and who we are as a people that help us progress forward in the future and become what we convey to the world,” said Mr. Bristow. Ms. Bristow saw beauty in the traditional values expressed on stage. “It’s the beauty of being good and being honest and true to yourself, and true to the people around you, and always trying to be in a better place in your life. I think if you can achieve that then you can pass that onto others,” she said. Shen Yun performers all practice Falun Dafa, a spiritual discipline handed down from ancient China rooted in Truthfulness, Compassion, and Tolerance. 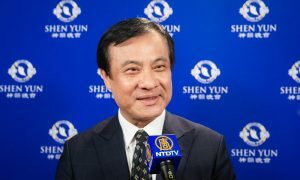 Besides rigorous physical training for Shen Yun, the dancers meditate daily, and discipline their own characters through quiet self-reflection and striving for spiritual ideals. Classical Chinese Dance is a complete dance system that developed in China, and it is distinct from forms in the West such as ballet. Although slow and graceful, classical Chinese dance can also be very athletic and involve tumbling, spins, and leaps. 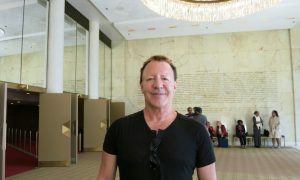 The live orchestra is something that Mr. Bristow appreciated as well from his stage production experience in Broadway musical-style productions. 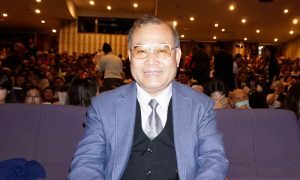 He recalled that in the original days of cinema there was a live piano, then an organ, and then even orchestras accompanying the film. 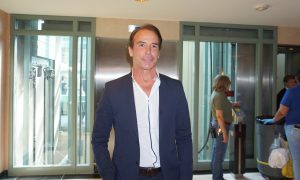 Later music was incorporated into the film stock itself instead of being performed live. “Whether it’s film, whether it’s stage, each element has to elevate the other, so music has to support and advance the storytelling in the same way that the dance or other art form does as well. To see the way it’s done is really beautiful,” he said. Ms. Bristow said every time she sees the show it always leaves her feeling uplifted, and this time was no exception. “When I leave the show I feel like I’m floating out, because you just feel so—like all of the worries of the world have been taken off your shoulders and you feel like you are in a better place,” she said. “It’s a fantastic way to spend two hours,” said her husband. With reporting by NTD Television, Lisa Ou, and Carrie Gilkison. 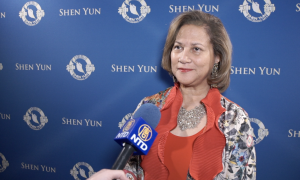 The Epoch Times considers Shen Yun Performing Arts the significant cultural event of our time and has covered audience reactions since the company’s inception in 2006.